A wholesale food distributor with deep roots in the Pacific Northwest plans to open its first Montana location in Missoula this summer. Cash & Carry Smart Foodservice will occupy the old Staples building at 2501 Brooks Street, providing wholesale foods in bulk to restaurants, caterers and other large buyers. The company is headquartered in Portland, Oregon, and has operated throughout the Pacific Northwest for more than 60 years. It currently operates in Washington, Oregon, California, Nevada, Idaho and Utah, and will soon add Montana to its list. Weeden said Cash&Carry opened four new locations last year and is on pace to add four more in 2017, including stores in Coeur d’Alene and Missoula. While Weedon dislikes the comparison, the Cash&Carry stories have been compared to Costco without the electronics, cars and tires. It sells food in bulk at wholesale prices, including fresh meats and produce, canned goods, frozen food and dairy products. 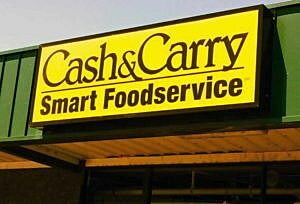 The new Cash&Carry location on Brooks Street will join Lucky’s Market as a new Midtown addition. Lucky’s, a grocery chain specializing in organic and natural foods, will open in Southgate Mall early next year in the building formerly occupied by Sears. Both Sears and Staples closed their Brooks Street locations in recent years. Sears shuttered its store in the spring of 2015 while Staples closed early last year. The Missoula store will represent Cash&Carry’s 62nd location.